The SEC requires that all "institutional investment managers that use the United States mail in the course of their business and that exercise investment discretion over $100 million or more in Section 13(f) securities" must file a Form 13f. This form will let us know (on a delayed basis) which Section 13(f) securities any prominent investment managers (such as a hedge fund) are holding at the end of each quarter. Section 13(f) securities include the likes of Microsoft, Morgan Stanley and Office Depot. The full 453 page list of Section 13(f) securities can be found on the SEC web site in *.pdf format. John Paulson, who has been phenomenally successful over the past couple of years, files a 13F-HR for his "Paulson & Co LLC" hedge fund firm quarterly. The filing for Q4 2009 was just made public yesterday. 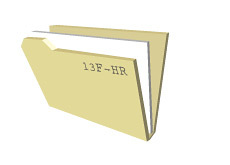 *note* the 13F-HR filing is just a piece of Paulson's total positions. It doesn't include short positions, positions in securities that aren't on the Section 13(f) list, etc. Anyways, let's get to Paulson's Q4 13F-HR filing. Paulson continued to add to his Citigroup position in Q4, and now owns a sizable 500,000,000+ share stake in the company. Paulson & Co LLC has a total of 57 different securities listed on their Form 13F for Q4, up substantially from 39 in the quarter before. The sum total of the value of the securities on this list was a little under $20 billion as of December 31st, 2009. (exact number $19,795,476,000). This number was $20,463,490,000 at the end of Q3.